Trump tweeted "Wow what a tough sentence." 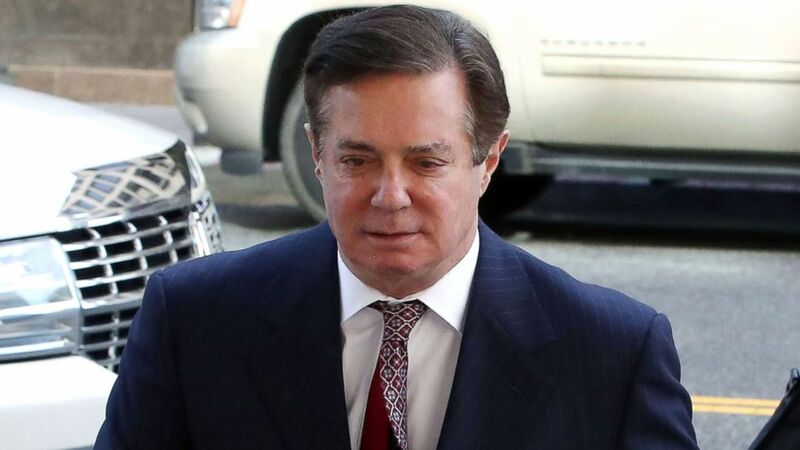 A federal judge on Friday ordered Paul Manafort to be held in jail pending his September trial, landing a significant legal blow to the former Trump campaign chairman in his battle with the special counsel Robert Mueller. Sources close to President Trump’s legal team told ABC News they were "stunned" by the decision. Within hours of the judge's decision to revoke Manafort's bail, the president tweeted: "Wow, what a tough sentence for Paul Manafort, who has represented Ronald Reagan, Bob Dole and many other top political people and campaigns. Didn’t know Manafort was the head of the Mob. What about Comey and Crooked Hillary and all of the others? Very unfair! Manafort has not been convicted and has not received a "sentence" as the president claims. 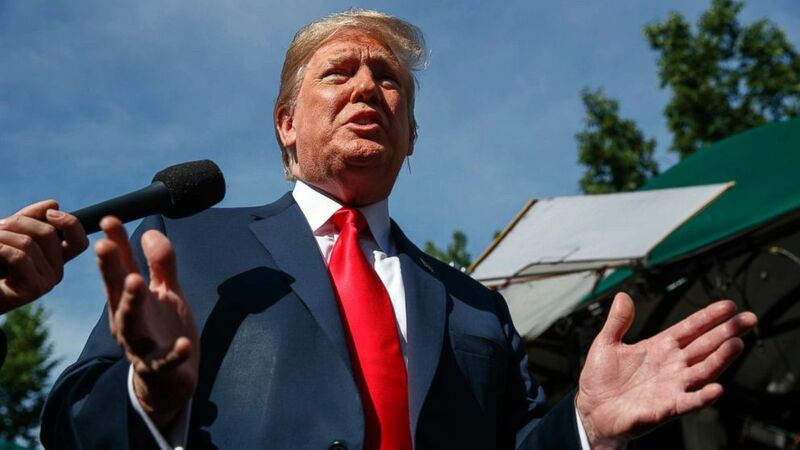 (Evan Vucci/AP) President Donald Trump speaks to reporters at the White House, June 15, 2018, in Washington, D.C. Ahead of Friday's court hearing, before the judge rendered her decision, Trump once again sought to distance himself from Manafort insisting that although he served as campaign chairman for six months, he played a limited role in the campaign. Legal experts told ABC News this week that Mueller’s pressure on Manafort is likely an effort to persuade him to cut a deal for leniency in exchange for testimony about others, possibly including President Trump. Prosecutors with the special counsel last week had asked Judge Amy Berman Jackson to revise Manafort’s bail conditions after Mueller presented evidence that Manafort had contacted and, they allege, tampered with potential witnesses. Manafort’s previous $10 million bail agreement allowed him to remain on home confinement with a GPS ankle monitor. (Mark Wilson/Getty Images) Former Trump campaign manager Paul Manafort arrives at the E. Barrett Prettyman U.S. Courthouse for a hearing on June 15, 2018 in Washington, D.C.
After hearing arguments in court Friday, Judge Jackson described from the bench what she called "an extraordinarily difficult decision," but cited the weight of allegations against Manafort. “I struggled with this decision,” Jackson said. “I have no appetite for this. In the end, I can’t turn a blind eye to these allegations," the judge said. The special counsel has hit Manafort with three superseding indictments in two federal courts – Washington, D.C., and Virginia – amounting to more than 40 charges related to money laundering, tax and bank fraud, conspiracy, and other financial crimes that largely predate his time on the Trump campaign. During Manafort's hearing, an attorney on the special counsel's team, Greg Andres, characterized Manafort's outreach to possible witnesses as “a sustained campaign,” adding that nothing short of jail could prevent Manafort from repeating the alleged infraction. “The government takes the position that there are no conditions that rebut the finding that Manafort is a danger to the community,” Andres argued. Richard Westling, an attorney for Manafort, rebutted that claim, asking the judge to consider additional bail conditions that would allow Manafort to remain on home confinement. “A clear no-contact order will solve the problem,” Westling suggested. In the end, Jackson sided with Mueller's prosecutors. "I don’t think I can draft an order to prevent the defendant from committing any future crimes," Jackson said. "And I shouldn’t have to."